Welcome back to my blog. 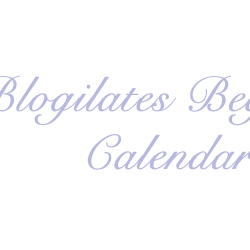 It's been a while since I put a blog post and I wanted to start this new year nice and fresh. 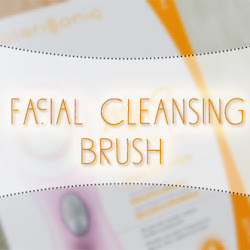 More blog posts, MORE reviews, and hopefully more giveaways. 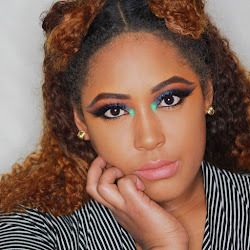 Make sure that you're email subscribed to my blog which you can do on the left hand side and make sure you're following me on my social media! 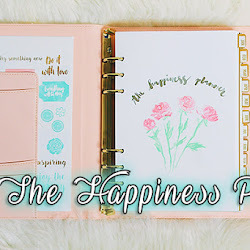 Today I wanted to share with you my new Happiness Planner. This planner is a little pricey retailing at $56. 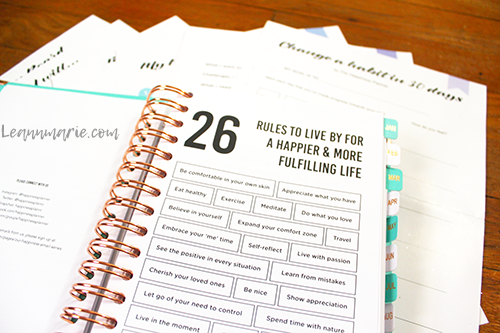 I thought that this was a great planner because it really adheres to what you want to do on a daily basis. We'll be getting into more details of the blog as we go along, but I thought it would be a really helpful addition to my life in 2017. Simply because it's going to help me work on my habits more and try to be a more positive person throughout the year by setting up goals and schedules for your day and other added bonuses! When I orginally went to purchase this planner, I was thinking to myself... Really $56 just for a planner? But when you look at the details and what the planner actually comes with, you see the real value in the product that you are purchasing. So now I'm going to tell you what you get in this planner and the added details the planner has as well. To start off, there are a few different color choices you can go for when purchasing your planner, you can also choose which type of planner you want. I opted for the Jan-Dec 2017 planner, so that's what I'll be talking about. The color choices are Pink (Gold), Mint (Rose Gold), Black (Rose Gold), and Serenity & Rose Quartz (Rose Gold). The front of the planner has a TriFold color layout with the main color being centered on top and white/gold on the bottom. 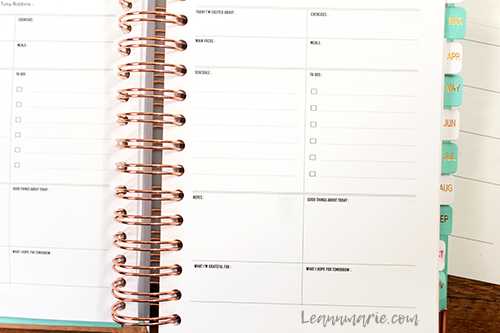 The rings of the planner are Rose Gold along with the trim of the two right corners, the text on the front, and the text of the month dividers as well. A very beautiful, yet simple touch. You can also opt to add a pen set or notebooks for extra money, which I did not opt for. 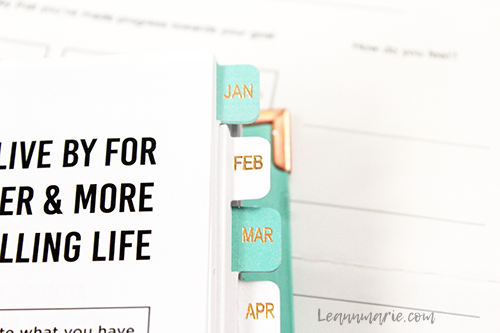 The planner itself also has a bunch of pages for you to fill in and reflect on yourself and your life that you can fill out and monthly check ins to see how you are feeling. That way at the end of the year, you can also reflect on how you were feeling for the whole year, which I think is a really good idea. You can reflect more on your life and your habits, what you want to change, and learn to focus on things that you cannot change. 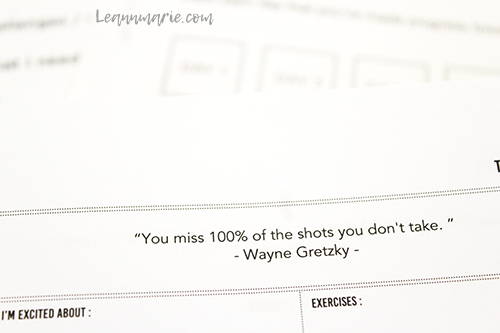 The planner also has daily quotes for you to read and bonus quotes as well! 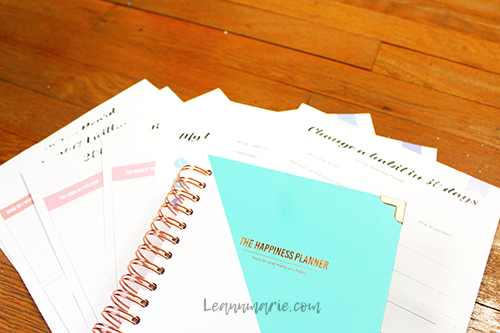 Overall, I think this is the perfect planner because it has everything you want in an inspirational book plus a planner. 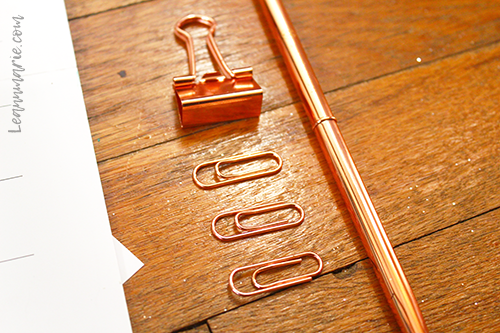 You're getting more than just the planner and you're also getting added things as well. You don't have to print out the printables yourself and they are on very fine paper, The pen runs so smoothly and the binders are perfect for keeping your place in the book. It definitely helps you to think about the more positives in your life while helping you to establish a healthier and productive lifestyle by having goals and tasks to do. 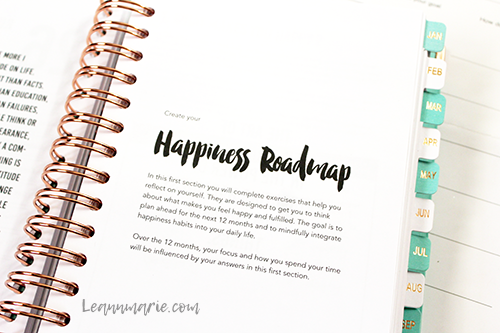 I think this is the perfect planner if you're looking to really work hard throughout the year and you need something to help you stay grounded and something to help keep you going. 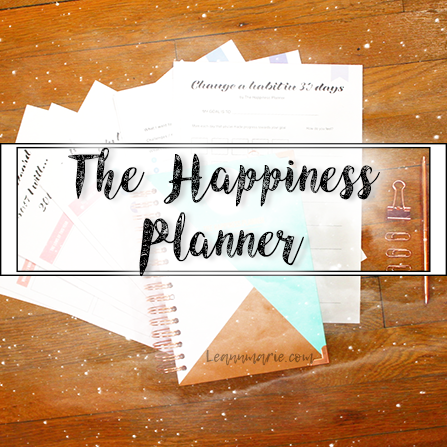 This is the perfect planner for that and make sure to check out The Happiness Planner to see what other great things they have! What are some planners you love? Share it with me in the comments below!